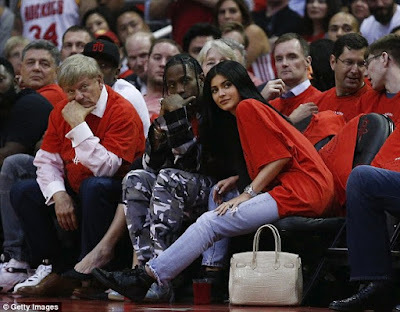 Kylie Jenner and rumoured new love interest and rapper Travis Scott were pictured for the first time at an NBA game in Houston, Texas, on Tuesday, where they looked rather cosy. 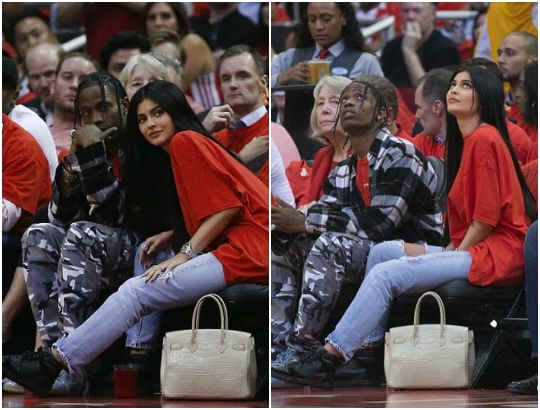 The pair sat courtside during Game Five of the Western Conference Quarterfinals game of the 2017 NBA Playoffs. 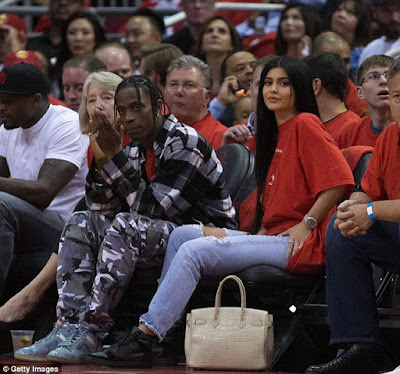 Kylie supported Travis at the sporting event, where he performed before play-off. 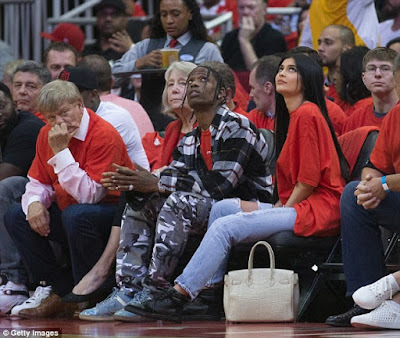 A source told People, 'During his performance, Kylie was hiding in the Rockets’ courtside club anxiously waiting for him to come back to her. 'Once he got back, they definitely looked like a couple, cuddled up next to each other among her friends.